AJSA (Anchalika Jana Seva Anusthan) is a root level Community Based organization (CBO) based in bolangir district of odisha in india, Facilitating community development initiatives since 1989,working towards the root cause of Poverty and social injustice and for the down trodden and under privileged section of the Society. It is a nonpolitical, non-profit motive social development organization involved in sustainable development initiatives since inception. AJSA was formed by local poor people of bongomnuda block in the bolangir districtof orissa, to work for the socio-economic development of small and marginal farmers, landless labor, agricultural labor, bonded labor as well as women, children and other weaker deprived sections of the society. The vision of the organization is to draw upon grass root level workers, volunteers, and suppressed people of the society and work with them to create awareness for sustainable development through constructive work and struggles. Its strategy is to empower the vulnerable sections of the society by building their capacities, for the cause of overall development of the communities in backward regions, by focusing on under privileged sections of the society in ground level from the beginning. The spheres of its work are governed by issues related to agriculture, livelihood, health, education, environment and Disaster Risk Reduction etc. AJSA has been working for the empowerment & mainstreaming of deprived village people of Western Orissa with emphasis on Land less, small&marginal farmer, backward rural Women, children, ST’s, SC’s & Dalit communities since last 23years. Striving to establish an alternative and prosperous rural social order; this mercurial organization has projected itself as the harbinger of grassroots liberty and empowerment of western Orissa for last two decade. Our mission is to utilize the natural resources,Human resources and physical resources most judicially for the Sustainable Socio-economic development of the society and empower the unprivileged sections, SCs,STs, Womens, Disabled persons, Small and marginal farmers. Such that they too can become the part mainstream development activity. Over all, to establish a society where there will be no poverty and injustice and where the people play the role as subject in the economic social, cultural and political process that affects their life. And to build a society where people have constant access to decision making process and the Power that affects their life. AJSA's approach is to adopt inclusive and empowering ways of working with the most marginalized groups in society that respect and promote equality. Our experience has shown us that effective development requires maintaining long term relationships with people and working to understand their needs and situation holistically in order to enable their self-driven journeys towards empowerment and self-sufficiency. Thus, we emphasize a people centered integrated livelihood approach pointing the way directly towards adopting a facilitating role, developing local leadership, and supporting several pronged development projects. 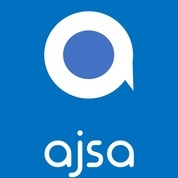 To realize its vision and mission, AJSA has been implementing several social, economic, educational, environmental and self-sustaining development initiatives since its inception.AJSA is actively working to bring about social welfare for the needy: work in each Village of its Operational areas. For this manner, AJSA Focus its work for the development of underprivileged communities, tribal communities, environmental awareness, child education, women empowerment and supporting underprivileged communities are AJSA’s major concerns because of the magnitude of these problems. AJSA also manage and uphold “Income Generation Projects” to support needy and poor people. Self help groups were formed, trained and various income generation activities were undertaken by AJSA for vulnerable sections and communities, all of which aims to bring about social, economic and financial stability and sustainability to the society. AJSA has been undertaking the following activities in its Operational districts of Orissa in India. 1-Activities relating to Natural Resource Management. 2-Training and capacity building activities. 3-Advocacy campaign and public education on issues of public interest.